Ms. Lis Driscoll is a Senior Vice President and Private Client Advisor at U.S. Trust, Bank of America Private Wealth Management with more than 10 years of experience in the private wealth management space. Lis manages a team of specialists who advise clients in the areas of wealth transfer and preservation, estate and tax planning strategies and customized credit opportunities. She also works with private foundations and charitable organizations on matters of governance, spending policy and investment management. Prior to U.S. Trust, she worked in Private Client Services at Credit Suisse First Boston and Deutsche Banc Alex Brown as a financial advisor working with wealthy individuals, non-profits, public and private companies. She received her B.S. from the University of Maryland University College, College Park, MD and her MBA from George Washington University, Washington, DC. 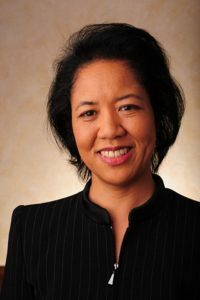 Martha Akiko Lloyd氏　President & CEO, StratPaths, Inc.
Ms. Lloyd has over 20 years business development experience working closely with a varied customer base, senior level management and operational managers. As a visionary and strategist, Ms. Lloyd has lead or contributed to strategic plans, new business development, capture plans as well as robust go-to-market approaches to industry specific markets. Ms. Lloyd has a strong track record closing large, complex government contracts. 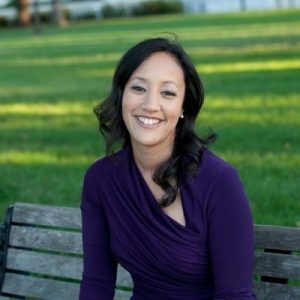 She has a Bachelor’s of Science from the University of Maryland in Business Administration and an Executive MBA from the University of Maryland, and holds an active Top Secret clearance. Ms. Tracy Washington is a Principal Investment Officer leading IFC private equity investments in Small and Medium Enterprise (SME) Funds and manages IFC’s pioneering SME Ventures Program focused on fragile states. With twenty years of experience in development finance, as well as a specific expertise in SME funds, Mrs. Washington leads SME-Ventures’ work in bringing innovative private equity models to some of the world’s most challenging markets. Before her appointment to this role, Mrs. Washington served as Investment Manager of the IFC Mozambique SME Initiative, combining risk capital finance with technical assistance to accelerate the growth of local SMEs. Prior to her work with SME funds, Mrs. Washington led corporate finance investments with global clients in the manufacturing, health and education, and financial sectors in emerging markets, including those in Sub-Saharan Africa, Latin America and South Asia. Mrs. Washington holds a MBA degree from the Georgetown University McDonough School of Business and a BS degree from the University of Maryland, College Park. She is a former participant of the Japan Exchange Teaching Program and a very proud wife, step mom and mom.